When you buy an Estes rocket or rocket kit, unless it is stated otherwise on the product information, you will also need to buy a launch system, rocket engines, and potentially a few other rocket supplies separately. For more details of what you will need to launch a model rocket, see: Equipment Needed to Launch a Model Rocket. To make life a little easier for those of you who are new to model rockets, we have grouped together all the essential rocket launch items here in this section of our model rocket store. The rocket launch system, which consists of the launch pad and the launch controller, is reusable so, depending on the type of model rocket you buy next, you can use this equipment over and over again. Rocket engines can be found here. Whenever you buy an Estes rocket, it is advisable to check on the product description what other equipment and modelling supplies you may need to complete the construction of your rocket. 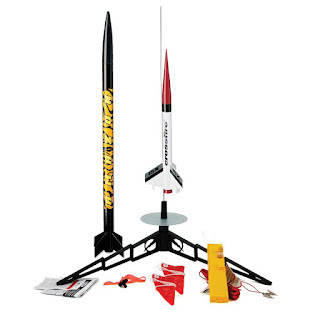 Apart from the rocket launch sets, which include a launch pad and a launch controller, to be able to launch your Estes rocket you will need a launch system, engine, and some other supplies, all of which is usually sold separately. The first piece of equipment that makes up a launch system is the launch pad. This is the stable platform from which a model rocket can be safely launched. A launch pad usually has three or four legs, a metal blast deflector, and a launch rod. The blast deflector and launch rods are sometimes sold separately, so check the details of a launch pad when you place your order. The launch controller is the handset that is used to fire the igniter that will, in turn, ignite the rocket engine. When you press the switch on the launch controller, and electric current is sent, via a long wire, which heats up an element in the igniter and fires the engine. The rocket starter, which is sometimes called a rocket igniter, heats up when you press the trigger on the rocket controller and causes a flame that ignites the rocket engine. 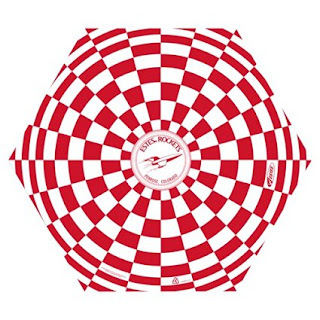 Recovery wadding is flame resistant material that is used in a model rocket to protect the body of the rocket and the recovery parachute from the flame that is caused by the ejection charge.